Remarks in the 1965 listing of this Felton Grove home for sale says, “View of driving range from deck”. House was at corner of Circle Dr. and Sylvan Way. Anyone have info on the driving range that was apparently on Graham Hill Rd in the 1960’s? 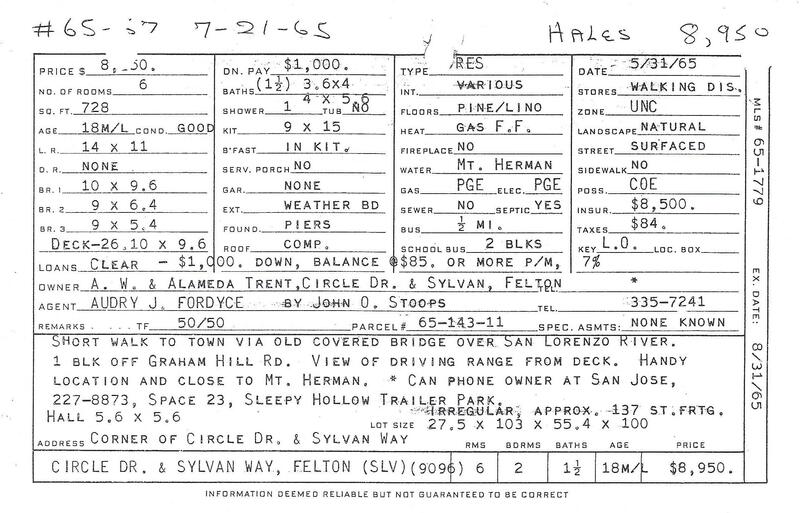 1965 listing of house in Felton Grove with view of driving range. Note: Mt. Hermon supplied water. This entry was posted in Felton Grove History, Houses in Felton Grove and tagged 1960's, Driving range, Felton Grove area. Bookmark the permalink.